West to Showcase New Extensions of the SmartDose® Drug Delivery Platform at the PDA Universe of Pre-filled Syringes and Injection Devices | West Pharmaceutical Services, Inc.
VIENNA, Nov. 6, 2017 /PRNewswire/ -- (Booth X67) – West Pharmaceutical Services, Inc. (NYSE: WST), a global leader in innovative solutions for injectable drug administration, today announced it will, for the first time, showcase new extensions of its marketed SmartDose® drug delivery platform, including several new wearable injectors that allow for up to 10 mL of volume to be injected in easy-to-use, wearable formats. In addition, West will lead several educational sessions and presentations at the PDA Universe of Pre-filled Syringes and Injection Devices, taking place November 7-8, 2017 in Vienna, Austria, to address the pharmaceutical industry's top concerns regarding the containment and delivery of injectable medicines. "Advancements in drug development need to be paired with advances in drug delivery, such as last year's FDA approval of the first combination product using our SmartDose drug delivery platform. Based on this technology, we are now excited to share our expanded portfolio of SmartDose wearable injectors," said Eric Resnick, Vice President and Chief Technology Officer at West. 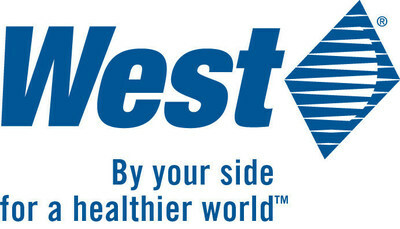 "As our customers continue to innovate and bring to market exciting new therapies to address important unmet medical needs, West is ready to help them with advancements in drug containment and delivery and technical expertise to guide them through the drug development and approval process." SmartDose Gen. II device, a system that can accommodate injection volumes of up to 10 mL, as well as both glass and Daikyo Crystal Zenith containers. SmartDose Gen. III device, a preloaded version, that reduces user steps and simplifies supply chain. Both versions will be featured at the conference. November 9, 9:05 a.m.– "Advantages of Pre-filled Syringe and Market Trends in Primary Packaging"
November 10, 11:00 a.m.– "Elastomeric Closures for Pre-filled Syringes and Cartridges"
Tibor Hlobik, Sr. Director, Global Product Management, Prefilled Systems & Delivery at West, will lead a session on "Drug Delivery Systems: Global Technical, Regulatory and Quality Challenges": November 9, 3:30 p.m.
For more information on West products and services, please visit booth X67 at PDA Universe of Pre-filled Syringes and Injection Devices or visit us online at www.westpharma.com. Certain forward-looking statements are included in this release. These statements reflect management's current expectations regarding future events and operating performance and speak only as of the date of this release. There is no certainty that West's SmartDose® drug delivery platform, or any other products, will achieve any level of commercial success. These forward-looking statements involve a number of risks and uncertainties. For a description of certain additional factors that could cause West's future results to differ from those expressed in any such forward-looking statements, see Item 1A, entitled "Risk Factors," in West's Annual Report on Form 10-K for the year ended December 31, 2016. Except as required by law or regulation, we undertake no obligation to publicly update any forward-looking statements, whether as a result of new information, future events, or otherwise. West and the diamond logo and FluroTec are trademarks or registered trademarks of West Pharmaceutical Services, Inc., in the United States and other jurisdictions. Daikyo Crystal Zenith® is a registered trademark of Daikyo Seiko, Ltd. Daikyo Crystal Zenith and FluroTec technologies are licensed from Daikyo Seiko, Ltd.
NanoPass is a trademark of NanoPass Technologies Ltd.